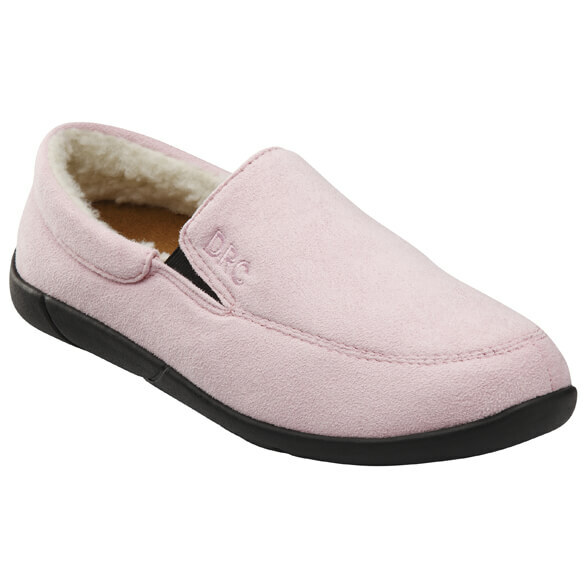 The Dr. Comfort® Cuddle women's slipper combines plush comfort with the protection of a shoe. Ideal for swollen or diabetic feet, they feature a wide, roomy fit, extra depth, a structured toe box and warm fleece lining. The included removable, hand-washable gel inserts cushion every step, or wear with your own inserts. 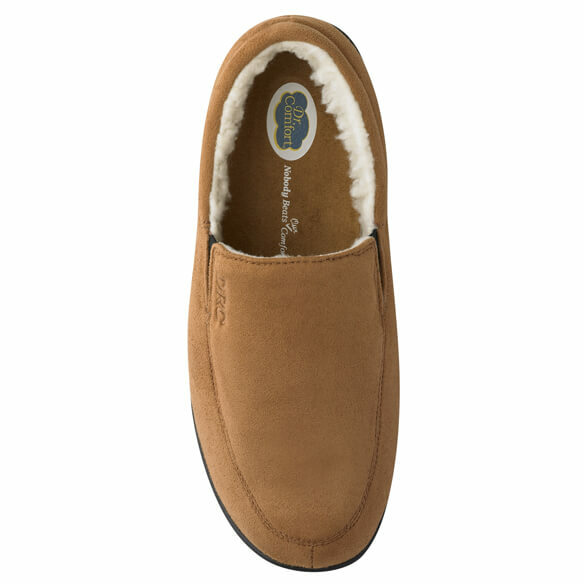 These fleece slippers provide stylish, shoe-like protection perfect for wearing around the house. 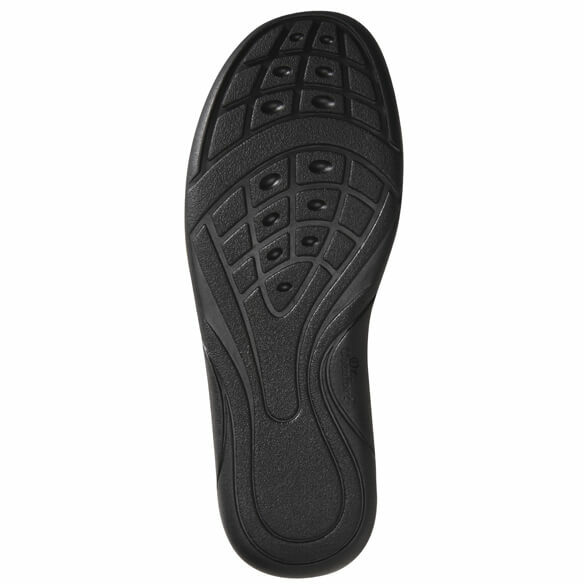 Supportive midsole and hard, non-skid outsole. Choose from camel or pink. 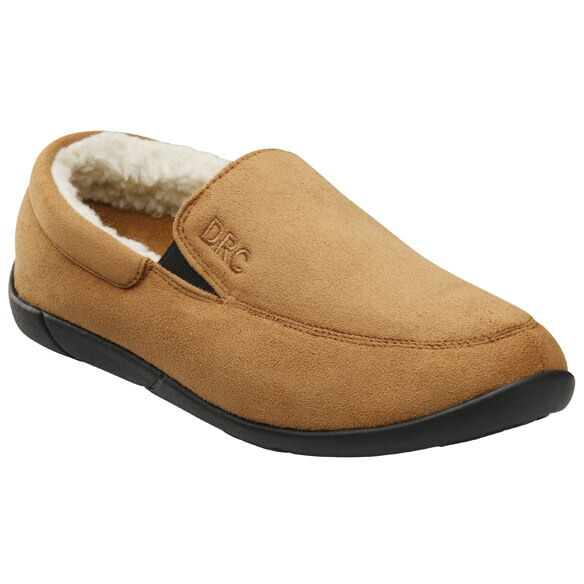 Dr. Comfort® slippers available in whole sizes 6W–11W. I'm always looking for wide shoes and slippers. So I'm trying these. Does "hard, non-skid outsole" mean it does not flex easily when you walk in them? BEST ANSWER: Thank you for your question. No, this slipper will bend when walking. We hope this information will be of help to you.